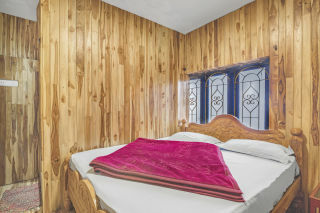 Situated just 2 km from Kodaikanal Lake, this is an offering of a private room in a homestay, which can accommodate up to three people and is ideal for small families. The retreat boasts a serene ambience that you can soak up from the balcony. The retreat is Wi-Fi enabled and breakfast is provided on request. 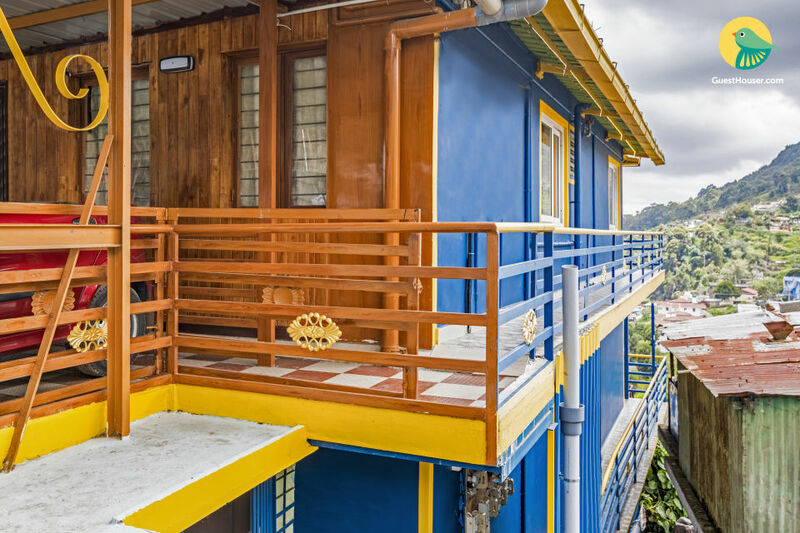 Your Space Displaying a pretty azure-blue façade and being surrounded by verdant peaks, this holiday home is primarily structured out of wood that lends the stay a distinctive charm. 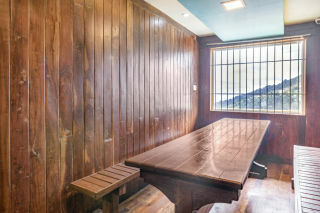 Inside, a sitting area houses comfortable seating and a wide table, so you can chat over a cuppa or play a board game with your fellow travellers. The top floor balcony could be used during the daytime. 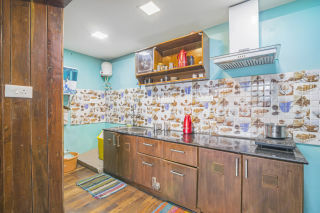 There is a functional kitchen equipped with an induction plate, basic kitchen utensils, and storage cabinets, which is available for use on a chargeable basis. 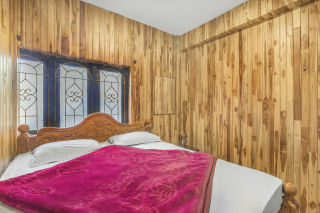 The room on offer is wood-panelled and features a comfy double bed with a side table and a television for you to stay entertained. The en suite washroom is tiled and fitted with western sanitary ware. Guest Access - You have access to a cable television and Wi-Fi. Breakfast, power backup, and heater are also available. Guest Interaction - The caretaker is present to welcome you and resolve any issues. Your keys are provided after ID verification. Neighbourhood Overview - The property is surrounded by verdant hills and rich forests. Several tourist spots like Kodaikanal Lake, churches, and mosques are in the vicinity. The main bus station is 300 m from our property. Frequent bus and van services are available at pocket-friendly rates. Getting Around - You can avail a local cab to reach the property conveniently. Taxis are easily available from the taxi stand. The nearest railway station is Kodai Road, which is 77 km away from the property. Additional Information Guests are requested to provide valid ID proof at the time of check-in. The kitchen is available for you to use at an additional charge. We do not host bachelors. Any inconvenience this may cause is regretted. 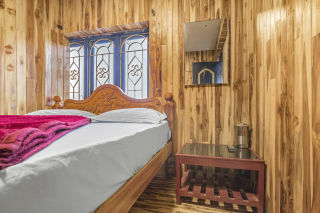 WE WILL PROVIDE AT LEAST THE MINIMUM AMENITIES as our price is too low . BUDGETARY IS ONLY ONE NIGHT 6PM TO 9.00 AM. SMOKING IS ALLOWED ONLY IN THAT ZONE ONLY. 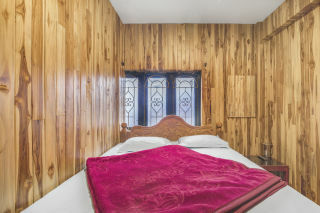 It is 2 km of en route distance from the home stay to the main bus station of Kodaikanal. Frequent bus services(Route Bus and Town Bus) private tourist local van services are available by paying just Rs.10 to Rs.15/- to reach Bus Station, Lake and Moonjikal at any time from 6.00 am to 10.pm.